Please refer to our stock # Hironaga001 when inquiring. Size: 24 x 18.5 inches. Condition: Excellent. Right margin has toning. 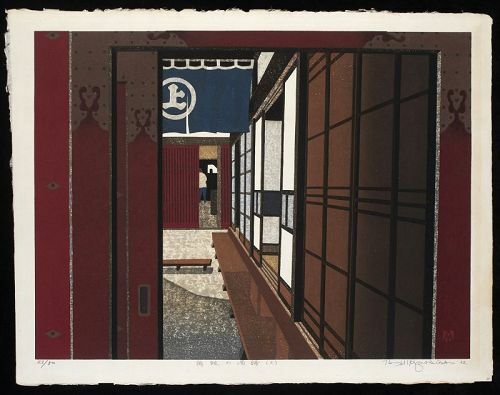 Hironaga traveled throughout Japan to make prints of its traditional buildings. The influence of his friend Kiyoshi Saito is apparent in this work.